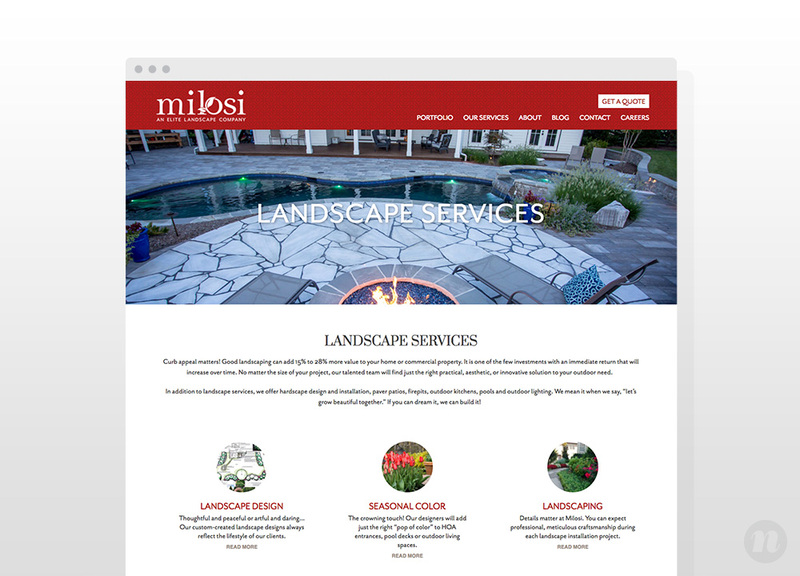 Milosi is an elite landscape company, headquartered in Nashville, TN. The company is locally recognized for the way that they care about their team, their clients, and the service they provide. 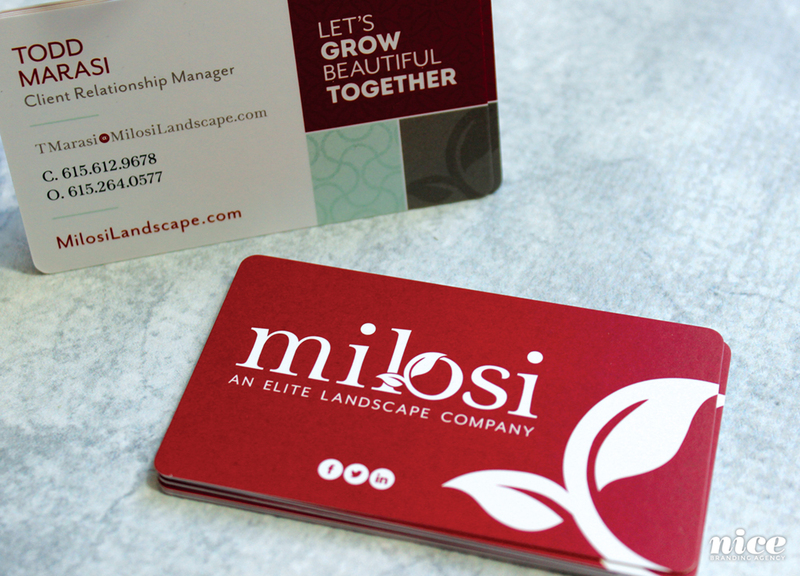 Milosi initally came to us with the need for a horticulture calendar and brochure. 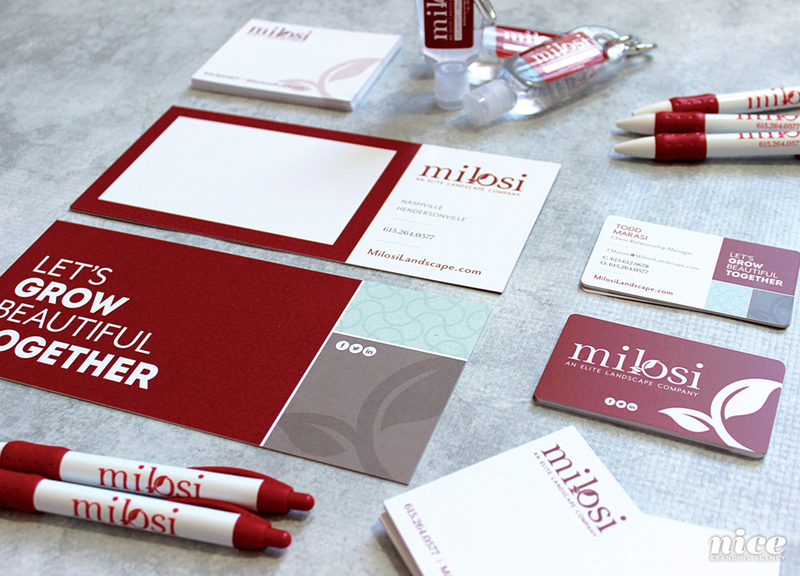 One challenge Milosi faced was that they were having trouble clearly communicating their offerings to clients. 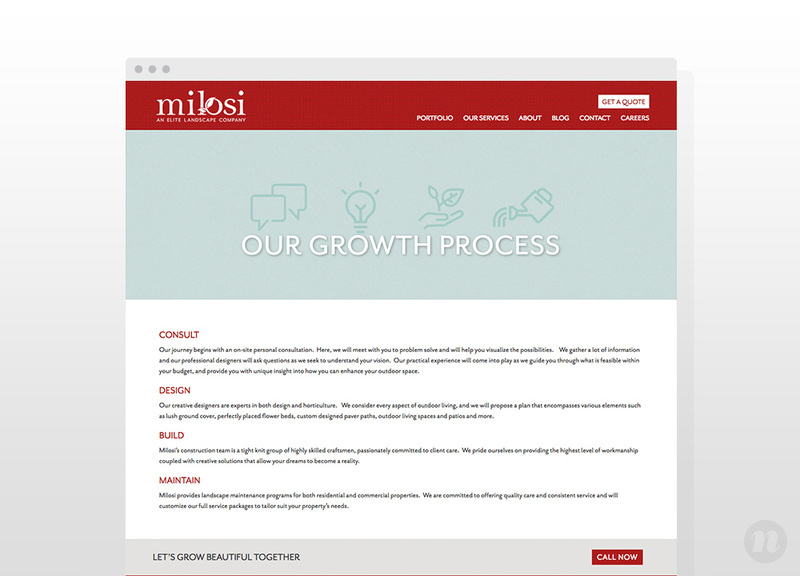 In order to present the information clearly to clients and potential clients, we created an icon system that would help viewers better understand the process of working with the Milosi team. 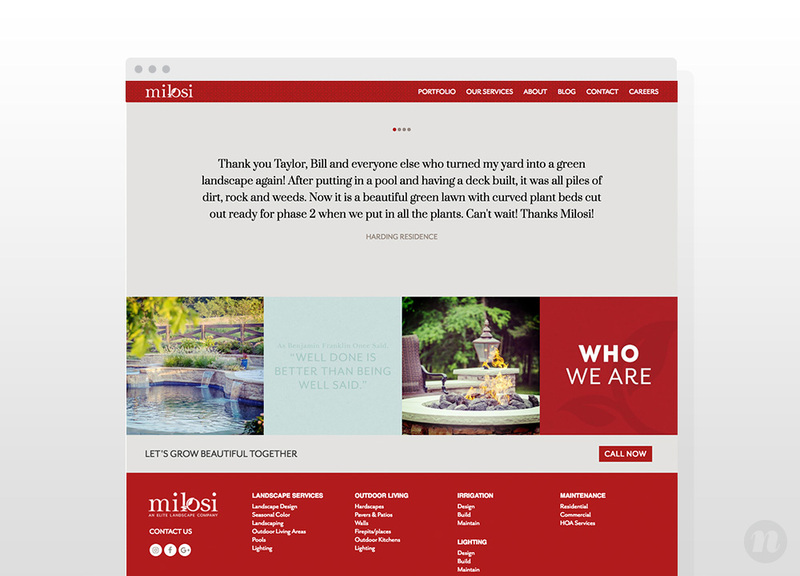 The icons worked to bring quick recognition to the services that Milosi provides, as well as the thoughtful, intentional process that would be implemented when working through a project. 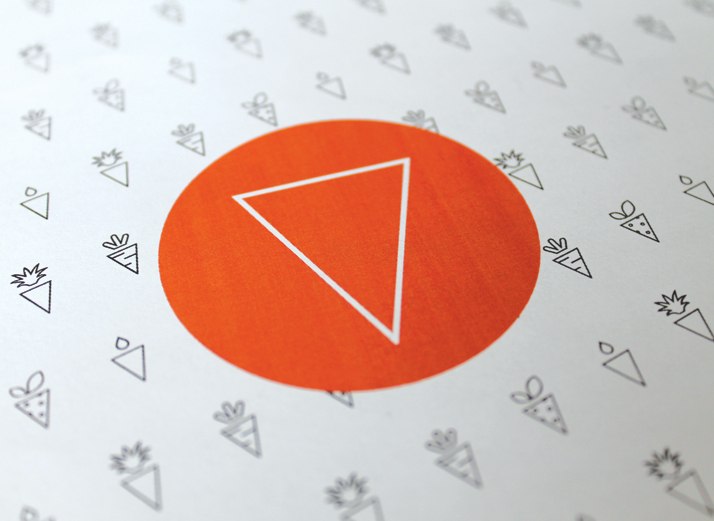 The icons we developed were used throughout the brochure. 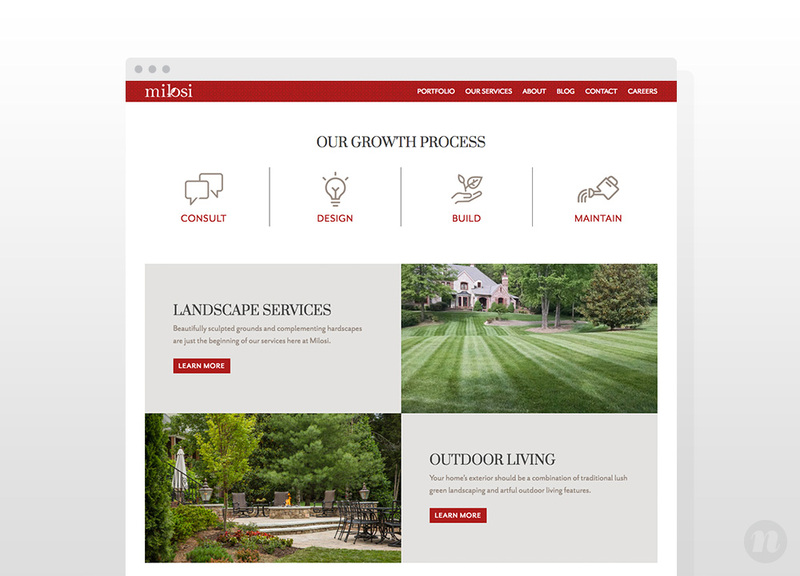 As we developed this piece, we were able to implement strategy and copywriting to streamline the information about both the services and the core values of the company. We then built a brochure with stacked inserts that were clearly labeled. There were 4 inserts and each went with the steps in the process. 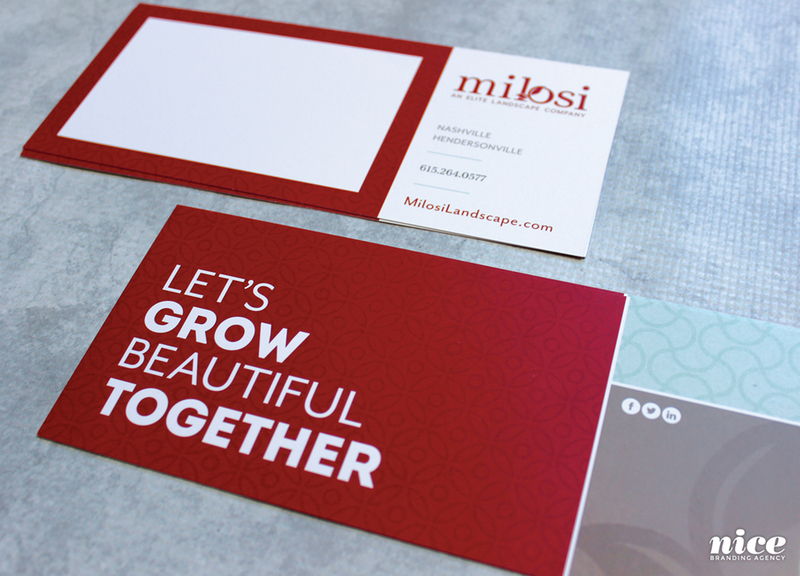 This type of printed piece allows for the client to make additions or changes relatively easily. 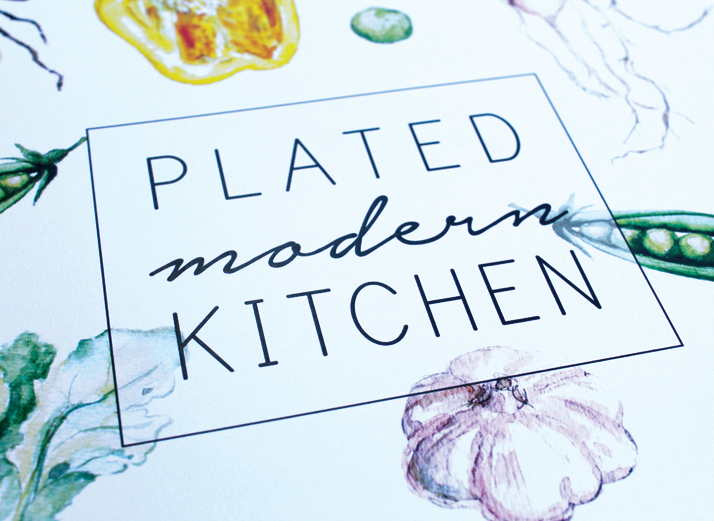 One service can be added or changed, without the need for a complete reprint of the entire brochure. 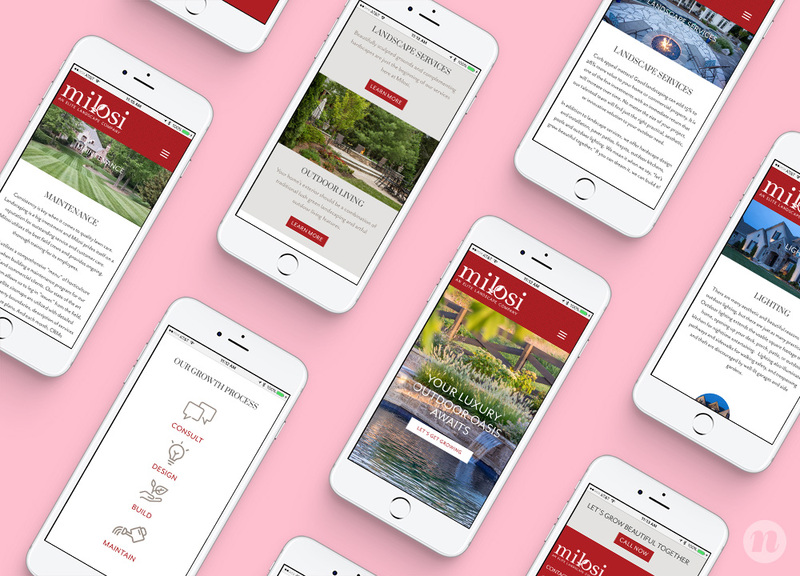 In addition to the brochure, we developed a horticulture calendar that would allow customers to understand when certain Milosi services should be performed throughout the year, which ultimately serves as a sales piece for existing customers. 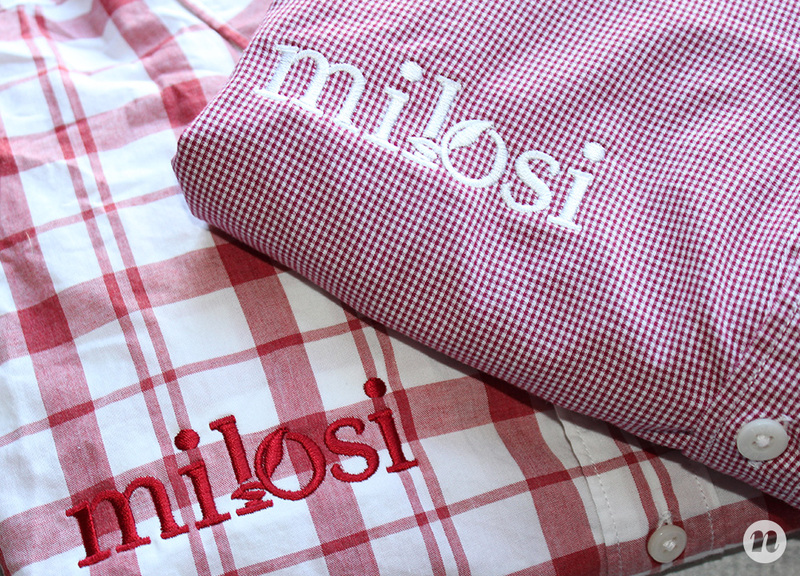 During the development of the brochure, we uncovered the fact that the Milosi logo required a refresh. 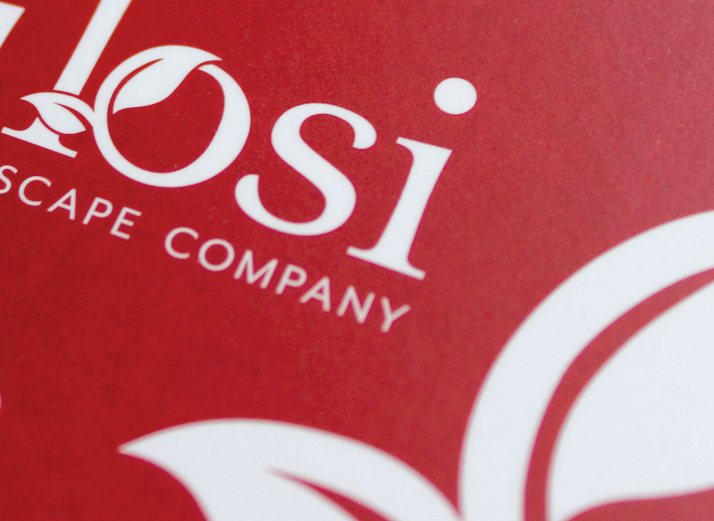 The existing logo was a disjointed design and it didn’t lend itself to a good reflection of the company’s services. The font was outdated and the icon wasn’t unique. Further, these pieces weren’t assembled in a cohesive, aesthetically pleasing design. 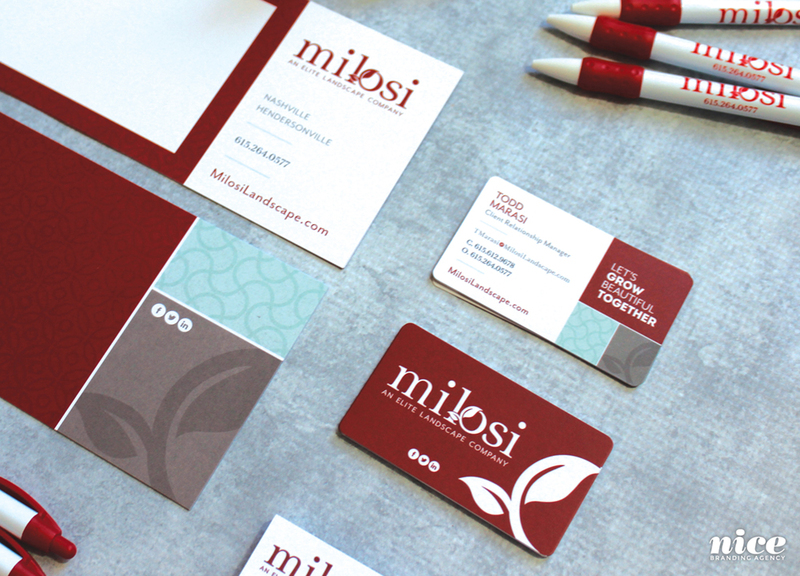 We presented a refreshed logo, along with our case for why the refresh was required and how Milosi would benefit from a new logo. The refreshed logo incorporated the leaf icon from the original logo. 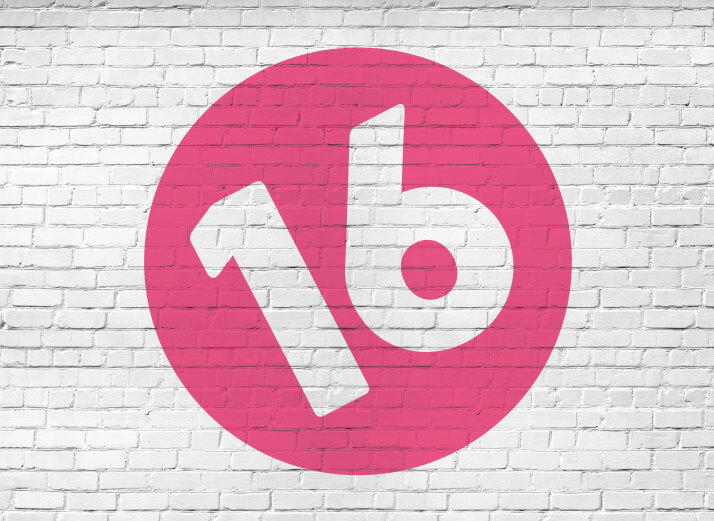 This was important for maintaining brand awareness, and was something our client wanted to have remain in his brand mark. However, the new logo was updated, clean, cohesive and aesthetically pleasing. 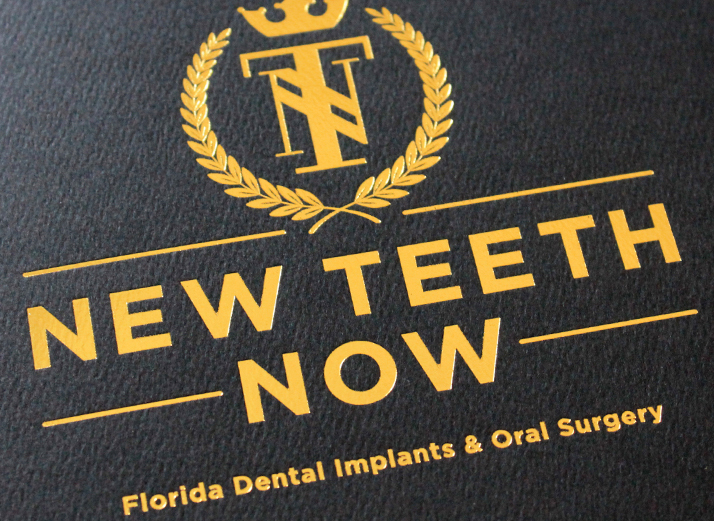 The creation of a new logo launched the need for an entire rebrand. 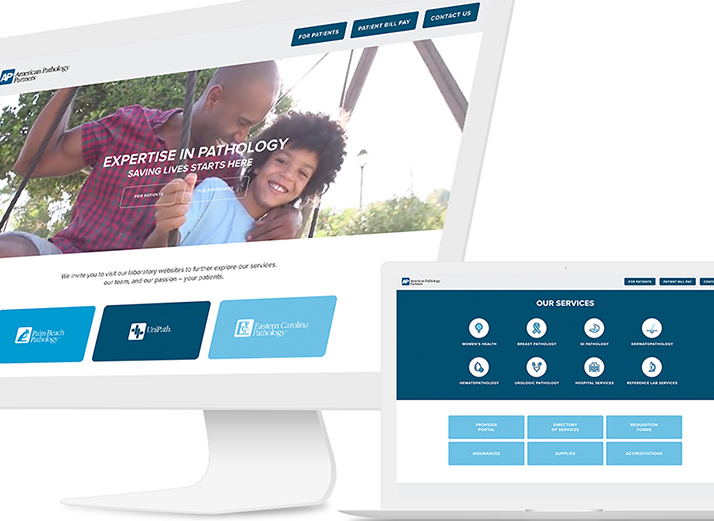 Our team worked diligently to update branded materials that existed throughout the company and to create new branded collateral that would elevate the perception of the company, both internally among the team and externally among clients. As we worked on the development of the brand, we established various patterns, colors and textures that were representative of the ground, water and landscape. 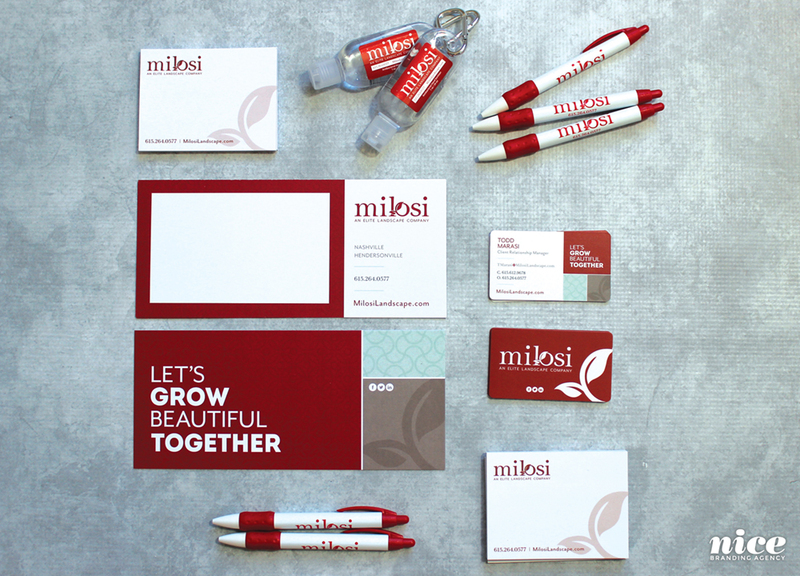 These elements were intertwined through multiple pieces, including a refreshed business card, letterhead, yard signs, and other miscellaneous supporting brand materials. 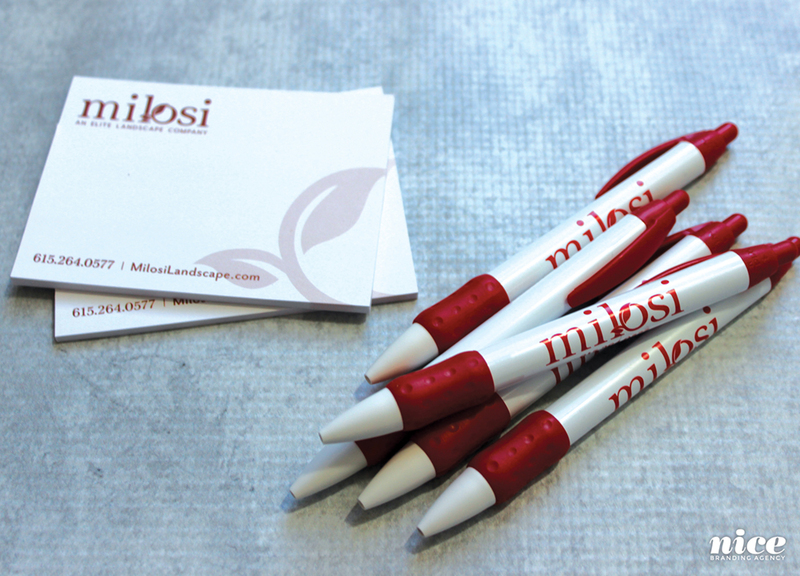 We also created branded promo products including pens, notepads, drawstring bags, and hand sanitizers. 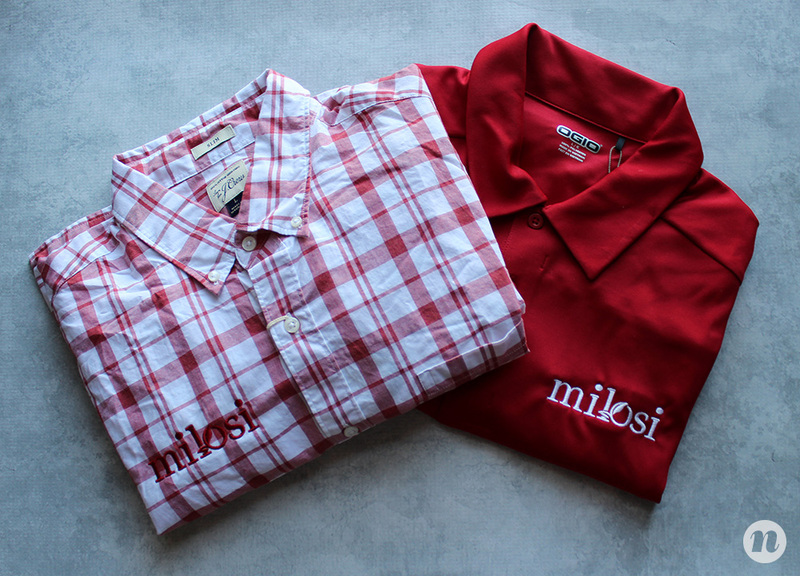 The team’s entire wardrobe was revamped to provide a level of professionalism that supported the new brand. In addition, the entire fleet of vehicles was redesigned to include the new brand elements as well as the new logo. A transit van design was developed to showcase bold, eye-catching photography and graphics that would serve as a mobile advertisement for the company on a daily basis. 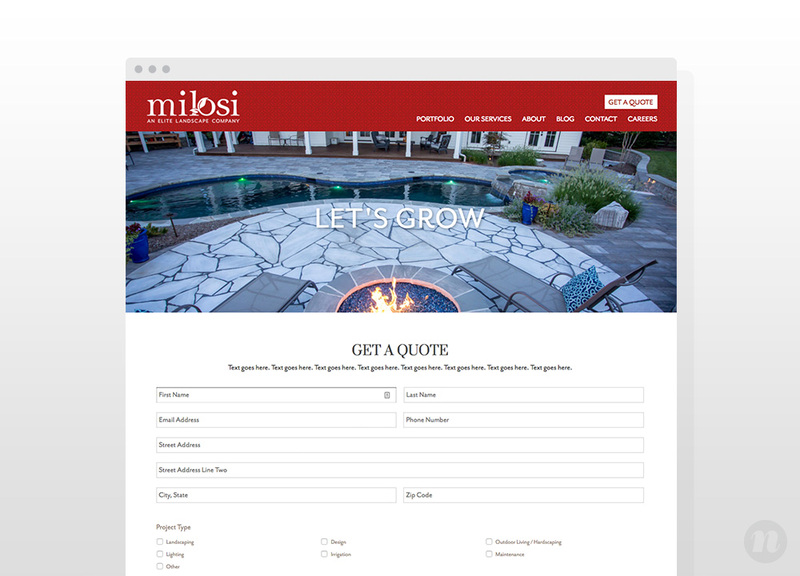 Additionally, an entire custom-built WordPress website was developed for the landscape company to clearly present the services that the company provides as well as the process that the client would undergo when they come aboard as a client of Milosi. 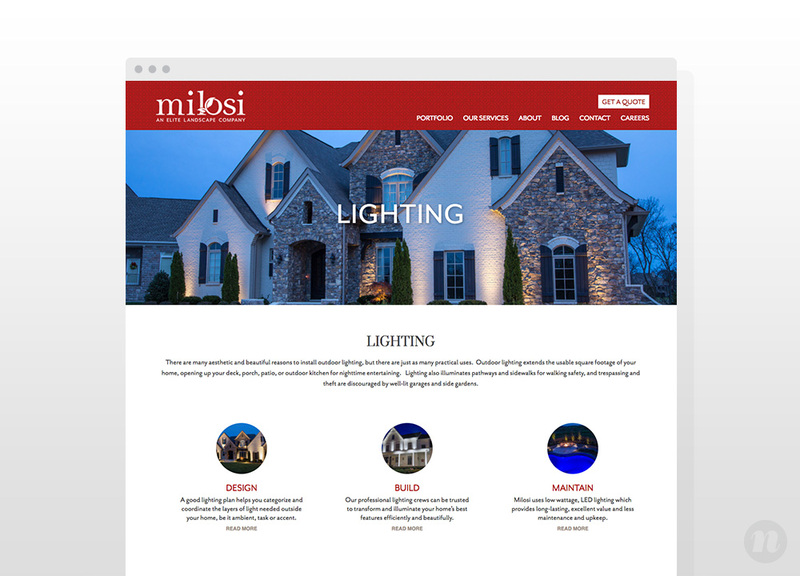 The website flaunted project photography, a strong nod to the culture of Milosi, and a user-friendly design with calls to action that encouraged potential customers to review the pages and contact the company. 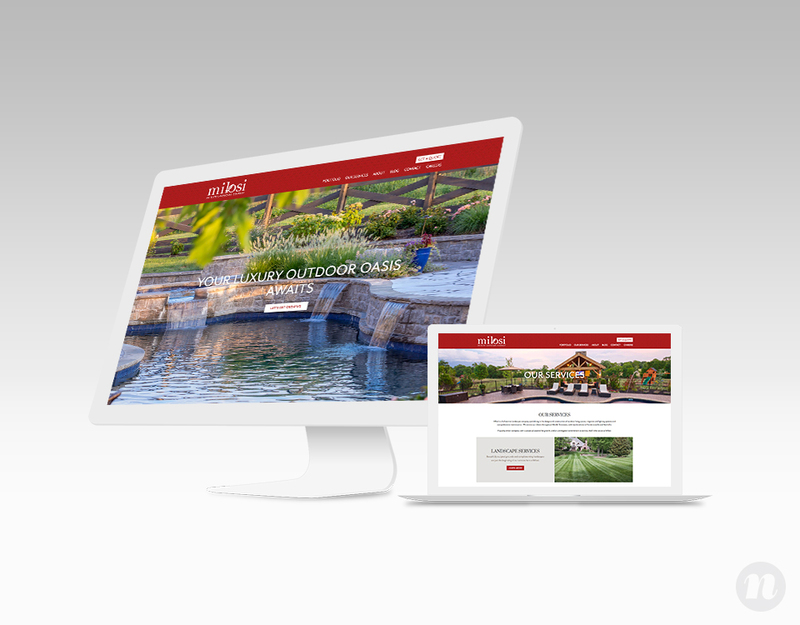 Overall, this client was not looking for a brand refresh when they initially approached our firm, however they have been extremely pleased with the result. 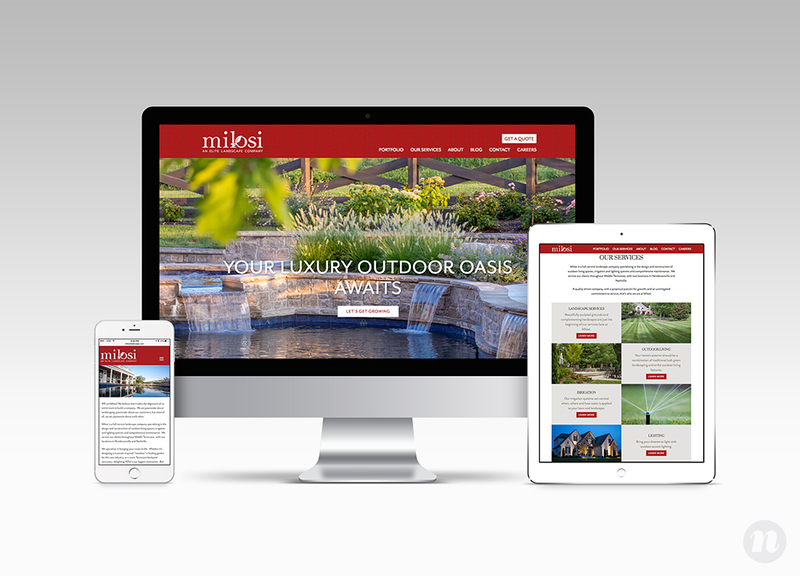 The refreshed brand provided them with a level of professionalism that gave them a leg up on their competition and aligned their customer-facing collateral with the quality of their services.